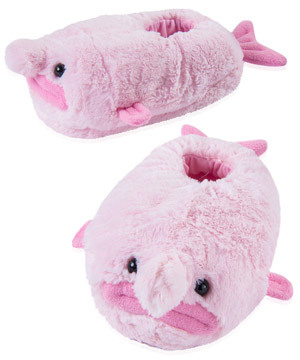 Blobfish Slippers: Ugly-cute lounging footwear styled after a deepsea fish. If you reach the depths of the ocean, you might be lucky enough to find the endangered and ugly-looking blobfish. If you reach the depths of your heart, you might find sympathy enough to have affection for the unfortunate-looking creature. 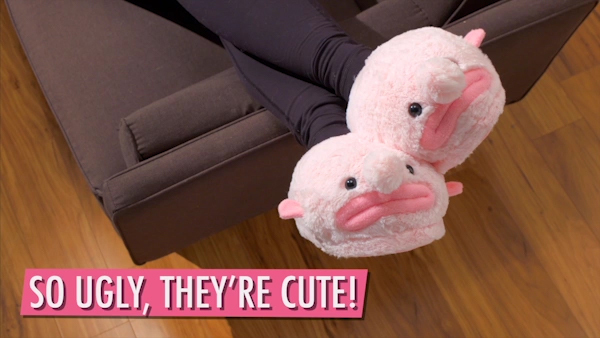 Super-soft Blobfish Slippers are an endearing homage to a creature that's so gross that you just have to love it. And you'll surely love how cozy your feet feel when you stuff them inside this pair of blobfish slippers. Unlike the inspiration, they're slime-free! Take a look at a real blobfish, and you'll say, "Eww!" Take a look at these slippers, and you'll say, "Aww." And slide your feet inside, and you'll say, "Ooh!" On the surface, Blobfish look gross. But there's something endearing about their icky shapeless form and sagging smile. Appreciate this abomination of the deep by sliding your feet deep into these plush slippers, kicking back, and relaxing. The thought of slipping your barking dogs into a duo of slimy fish is unappealing, but Blobfish Slippers replace their namesake’s grossness with incredible comfort. 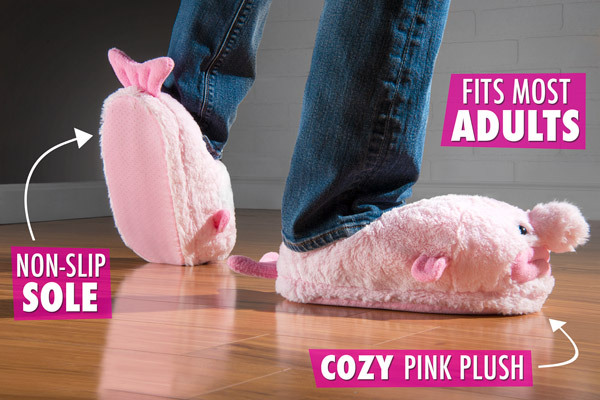 The pink plush slippers are sized to fit just about any adult, and the non-slip sole means you won't wipe out on your way from the sofa to the fridge. Slip on some slippery fish slippers with anti-slip soles. From the protruding proboscises to the puny pectoral fins, the pair of Blobfish slippers goes all-in mimicking the ugly-cute aquatic animal namesake (except, thankfully, for the smell). Slip some on and see for yourself. Question: Are they machine washable? 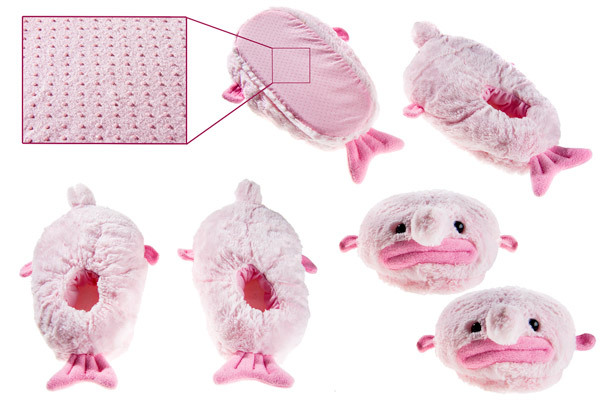 Answer: Blobfish Slippers should be spot-cleaned by hand to preserve the positioning of the sole and stuffing. 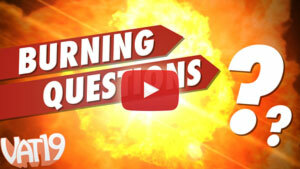 Question: Are they really soft?